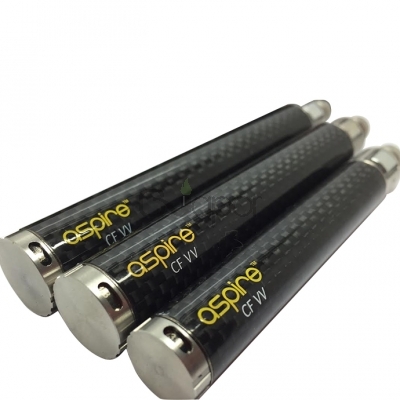 The Aspire CF Battery series are high-end e-cigarette power systems. Great inner structure with the high end materail made the CF VV series battery more competitive with other variable voltage batteries. With the spring connector and rovolutionary rotary knob design, the circuit protection and short circuit protection have improved greatly. 5-Click Protection: the battery will be turned on/off after you click button 5 times in succession in 2 seconds. LED Light Indicator: blue LED light shows a battery cell voltage of 3.5-4.2V. The Orange LED indicates a voltage less than 3.5V. 1.Overcharge Protection: when battery is overcharged (voltage beyond 4.25V), the built-in microchip will automatically stop battery charging. 2. 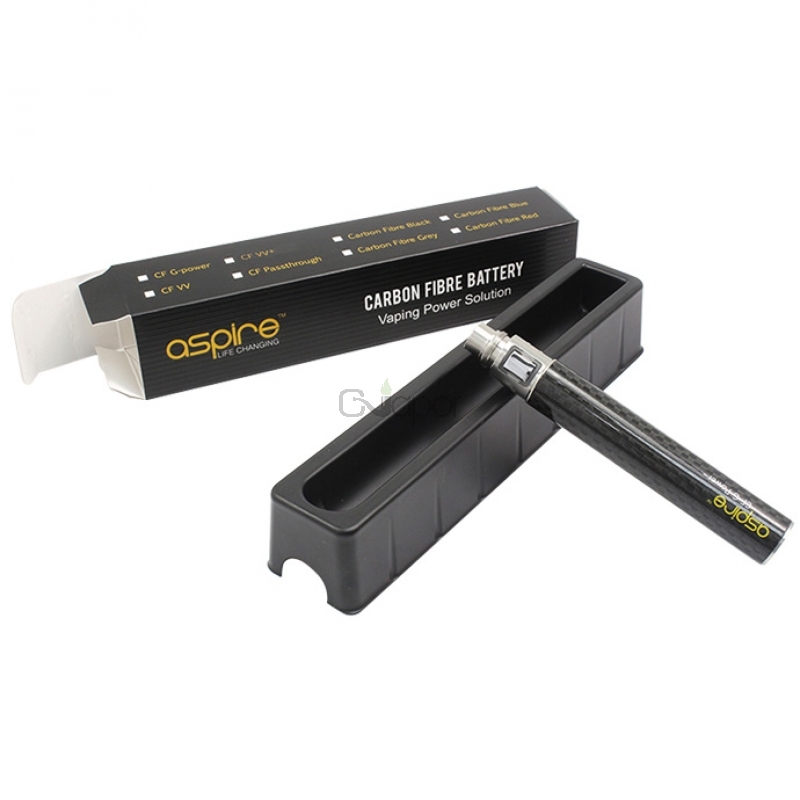 Overdischarge Protection: when battery cell voltage is less than 3.2V (low battery), the atomizer will remain OFF, and the Orange LED light will blink 15 times. 3. 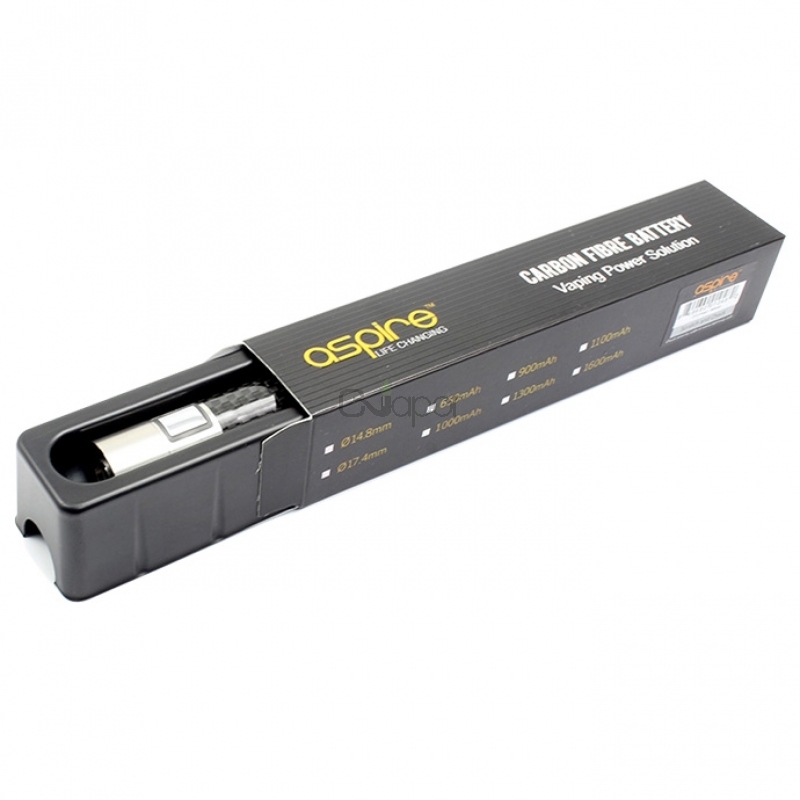 Atomizer Short Circuit Protection: if heating coils are short-circuited while vaping, the LED lights (both colors) blink 3 times, and the battery will default to “sleep mode. 4. Charging Short Circuit Protection: if the charger is short-circuited while charging, the battery will default to OFF position, stop charging, and the LED lights (both colors) will flash 6 times. 1. 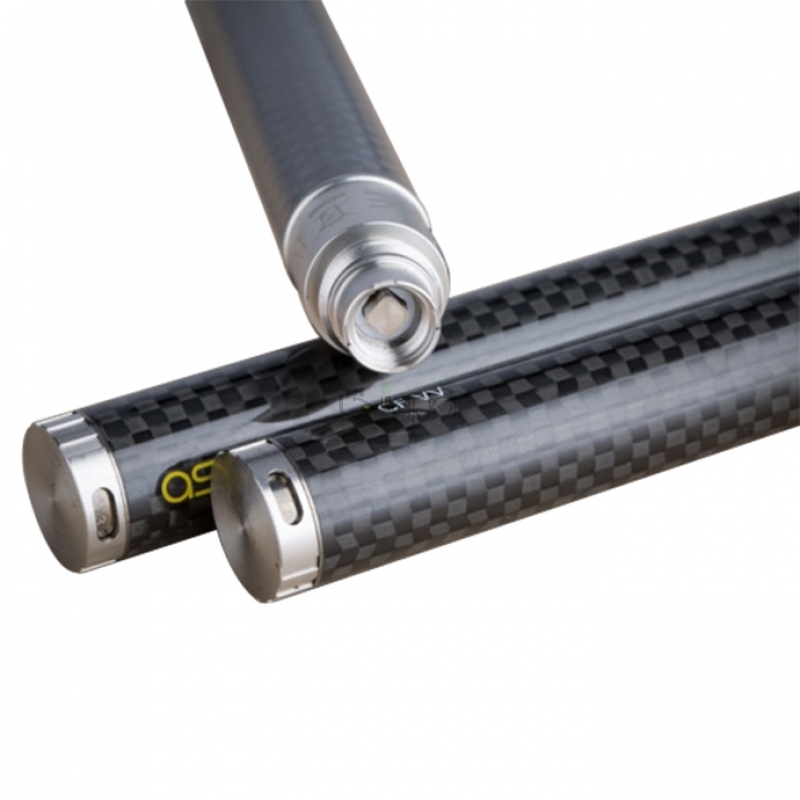 Hight end materail: stainless steel and metal button with carbon fiber coated tube. 3. Revolutionary rotary knob design. 4. High quality cell and control circuit. 5. Perfect inner structure design. 6. Variable output voltage range 3.3V-4.8V.